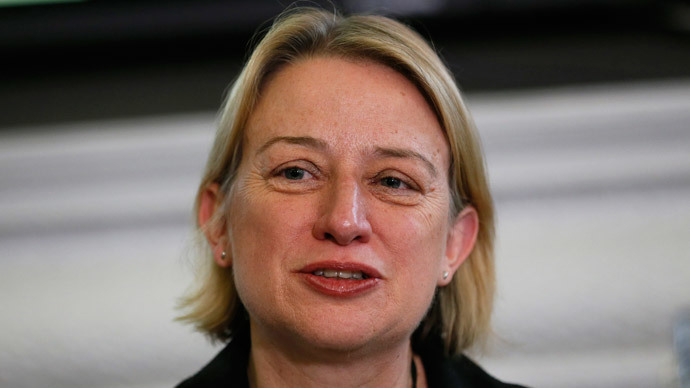 Britain should offer Russian President Vladimir Putin “realistic” concessions to end the conflict in Ukraine, Green Party leader Natalie Bennett told LBC Radio. The UK must understand Putin will need to prove he has won something out of the conflict, she added. Bennett advocated using diplomatic pressure to find a solution to the ongoing troubles in Ukraine. Speaking ahead of her party’s manifesto launch, she went on to say the UK needed to get out of “Cold War thinking” and build a new international position as a champion of international law. The Green Party has pledged to cut the British Army and eventually replace it with a volunteer “home defense force” if it wins the general election in May. Bennett told BBC Radio 4: “I think what we have got to is take a broad approach and change our place in the world. “We need to build a new place in the world as a champion of human rights, as a champion of international law,” she added. Bennett said the UK needs to apply “diplomatic pressure” when negotiating with Russia. She insisted Britain should avoid a “Versailles approach,” in reference to the harsh sanctions imposed on Germany following World War I. “It’s really important to understand that President Putin has to walk away with something – things that we might not necessarily like,” she said. The Green Party advocates strong anti-militarist policies, which include significantly reducing the armed forces and only engaging in military action through the United Nations. Redundant army bases would be turned into nature reserves, while the skills and expertise currently in military industry would be used to develop new renewable energy industries. Army Reserves would become civilian and military volunteers, such as doctors and engineers, who would engage in international humanitarian work. A Green foreign policy would also be accountable to the public through Parliament.